The Coors corporation brews beer in Golden, CO. 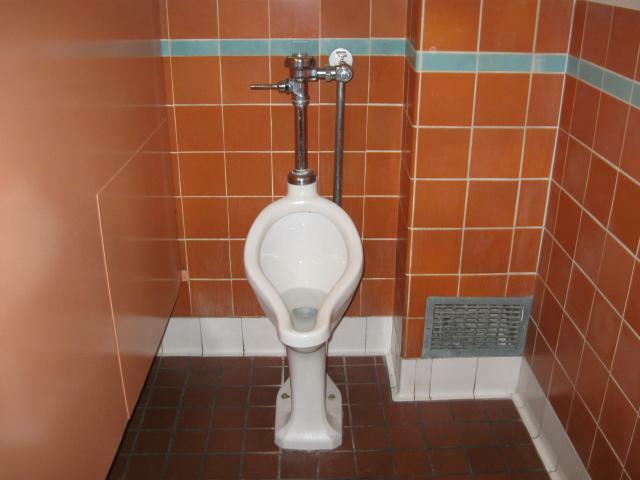 This urinal is locarted at the brewery's visitor center. This photo was sent in by joentx. He writes: "I thought [this urinal] was unique, and thus took my very first picture of a urinal with your web site in mind. It can be found along the tour route."